Love the luxurious feel and refinement of leather watch bands? A leather NATO strap is the ideal replacement band for your timepiece. 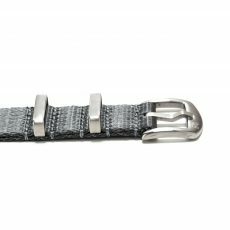 WatchBandit has created a line of straps that have all of the vintage appeal of the military watch bands that are all the rage at the moment. Meticulously crafted from 100% genuine leather, our watch bands are worthy of even the most expensive and valuable timepieces but look equally fashionable on the minimalistic styles offered by today’s hottest micro and independent brands. WatchBandit leather designs feature the standard hallmarks of NATO straps. The bands have a slender, comfortable fit and are available in 18mm and 20mm widths. 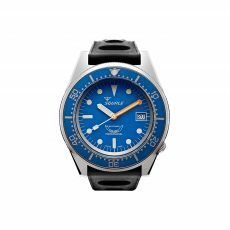 Each of the NATO leather strap styles in our collection is outfitted with a squared buckle and a pair of slender loops constructed out of 304 stainless steel. 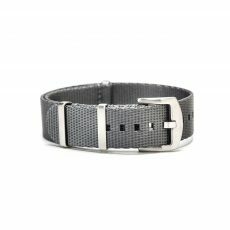 We specifically chose this metal for use in our leather watch bands because of its strength and ability to retain its lustre without tarnishing. You simply won’t find a larger selection of well-made leather NATO strap designs anywhere else on the Internet. We have leather NATO straps in a variety of go-with-everything neutral colours to offer something to suit every man’s taste and to complement every style of watch. Our durable straps are between 1.2 and 1.5 millimetres in thickness, making them lightweight and comfortable. 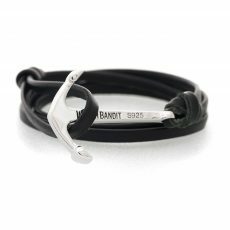 The leather watch bands are one size fits all in terms of length and feature ultra strong stitching to prevent wear and tear.